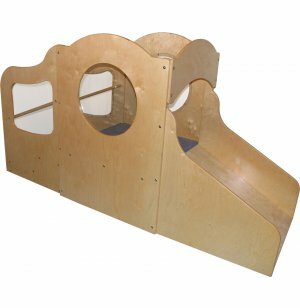 The Step n' Slide Mini Play Loft from Strictly for Kids encourage infants and toddlers to crawl and climb while keeping them safe. 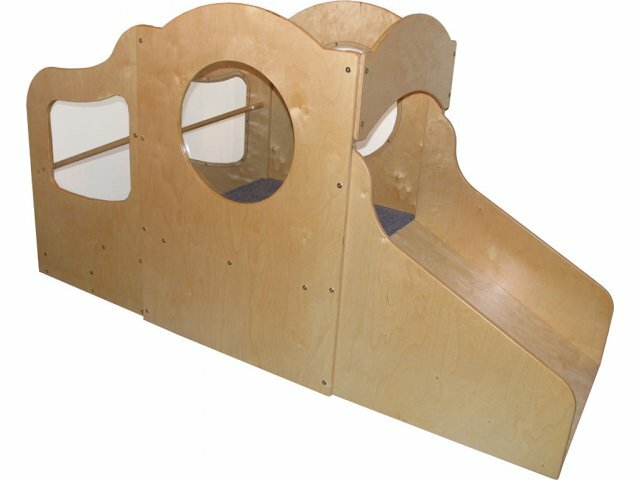 These sturdy birch play lofts feature fully carpeted, extra-deep steps, Lexan windows, a slide with a safety barrier and a beautiful wave design. The double handrail helps little ones to keep their balance, and the landing at the bottom of the steps provides an extra gathering space to encourage social interaction. All edges are fully sanded and rounded to prevent injury. Ideal for ages 8-23 months. Indestructible: Lexan windows keep children within constant view and provide unbreakable security.